Make the ocean your university. College & University are great but are certainly not for everyone. There are now huge opportunities for those who are interested in the outdoors to learn by doing rather than sitting in a classroom. Donegal Adventure Centre is promoting training courses for those wishing to become qualified outdoor instructors this autumn. The course is 10 week Outdoor Instructor Course (OITC). One of course trainers is Ken Keane who said he thinks the course is a great asset to the town. “Not only has it provided employment & opportunities for people here in the North West, it also showcases Bundoran as the world class outdoor venue that it has become. As a local, I think it’s great that well as people from all over Ireland; we’ve had graduates from all over Ireland, America, Holland, Germany and Sweden. Applicants must be 18 years old, and must be able to swim. There is no upper age limit, but applicants will need to be reasonably physically fit, and willing to train each day. There are no educational pre-requisites; applicants do not need CAO points. Accommodation is available on campus, and includes free wifi and parking. Absolute beginners are welcome but applicants should be enthusiastic about outdoor sports and physical fitness. 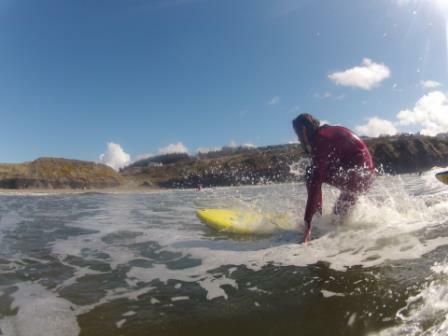 Qualifications in outdoor sports are also excellent for young people planning to do some travelling – lifeguarding and surf coaching are popular world-wide, and graduates from the Donegal Adventure Centre course will be qualified to coach and lifeguard abroad. This course is also ideal for students who are not quite sure what they want to do – it is some healthy and beneficial ‘time out’, with the added bonus of valuable qualifications. The staff at Donegal Adventure Centre are well known for their friendly professionalism, and previous graduates have enjoyed the experience immensely. 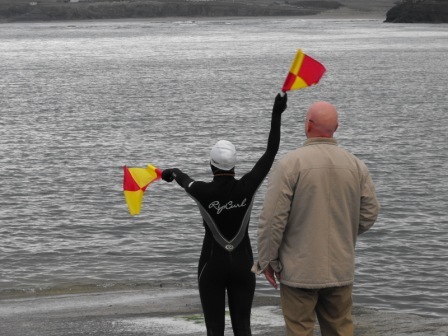 Donegal Adventure Centre are now taking applications for the next course.